An increase in aridity due to global warming will disturb the balance of nutrients in the soil and reduce productivity of the world’s drylands, which support millions of people, a landmark study predicts. 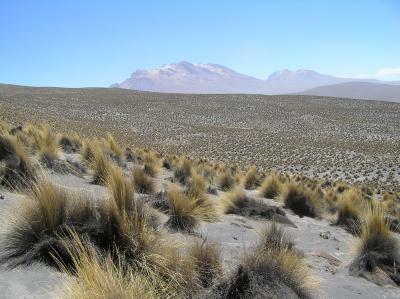 The research was conducted by a global collaboration of scientists who carried out the same studies of 224 dryland sites in 16 countries on every continent except Antarctica. In Australia, woodland sites near Mildura in NSW were studied by UNSW‘s Adjunct Professor David Eldridge, of the School of Biological, Earth and Environmental Sciences, who is a member of the international research team. Other sites included areas of the Negev Desert in Israel, the Pampas lowlands in Argentina and the Altiplano highlands of Peru. Rainfall at the sites ranged from 100 to 800 mm per year, and all soil samples were analysed in the same laboratory in Spain. The research shows that increasing aridity is associated with a reduction in carbon and nitrogen in the soil and an increase in phosphorus. “Drylands cover about 41 per cent of Earth’s land surface and support more than 38 per cent of the world’s population,” says Professor Eldridge, who also works for the NSW Office of Environment & Heritage. A worldwide decrease in soil moisture ranging from 5-15 per cent has been predicted for the 2080-2099 period. Phosphorus in rocks and sediments is released into the soil by weathering, and levels are expected to increase as soils become drier and erode more. This increase in phosphorus will be accompanied by reductions in carbon and nitrogen, which are more dependent on biological processes such as litter decomposition, photosynthesis and nitrogen fixation. Reduced plant cover will also exacerbate this effect. “Plants need all of these elements, in the correct amounts and at the right times, but increasing aridity will upset this balance, leading to a breakdown in essential soil processes,” says Professor Eldridge. April 16, 2019 - What is My Soil Test Report Telling Me? No-Till FarmerA good, quality soil sample is the critical first step in determining a crop nutrition plan. But once the sample is analyzed, what should be done with the report? April 18, 2019 - Biochar role in soil fertility & nutrient transformation Technology Times PakistanThe Pakistani soil are not a good productive now a days because of soil are depredated day by day by many things through agriculture nutrient. April 18, 2019 - Microbes Help Plants Survive Heavy Metal Stress GotScience.orgHeavy metals can be purged from the soil using plants, or by using beneficial microbes, which help plants survive the grueling process. April 17, 2019 - A window to the roots Good Fruit GrowerWSU scientist using rhizotrons, or root windows, to study the growth of trees underground. March 20, 2019 - Five ways to improve soil Herald and NewsSoil: the literal and biological foundation upon which all gardens are built. April 17, 2019 - The Plant Lady: Tomatoes are everyone’s favorite. Here’s how to make sure they’re amazing Sacramento BeeTomato fever is kicking in now for most people. Remember though, it is best to wait until night temperatures stabilize at 50 degrees or higher before planting. March 27, 2019 - Sub-surface nutrient placement options – Ohio Ag Net Ohio's Country Journal and Ohio Ag NetBy John Fulton and Trey Colley. Sub-surface placement of nutrients is a best management practice (BMP) in an effort to reduce off-site transport of P and N.
April 17, 2019 - Aeroponics on display in Greensburg Kiowa County SignalThe Kiowa County Health Fair held Saturday featured many interesting booths, but Kristol King's aeroponics offered a tangible look at advanced hydroponics. April 16, 2019 - New solutions for producing high-purity MAP fertilizer World FertilizerTechnology company GEA proposes new solutions for the production of monoammonium phosphate (MAP) fertilizer. April 5, 2019 - Cornell Coop offers soil pH testing Rome SentinelWHITESTOWN — Cornell Cooperative Extension Oneida County offers in-house soil pH testing for home gardens and lawns at a cost of $2 per sample. April 11, 2019 - Digging in: Create your own garden soil and recycle food scraps with a backyard compost pile The AdvocateComposting is becoming increasingly popular with home gardeners, both as a way to reduce household food waste and create healthy garden soil. April 16, 2019 - Precision Ag Tools Helping South American Farmers Improve Yields, Sustain the Environment PrecisionAgI recently read an interesting article on FutureFarming.com about soil compaction in Brazil and how several companies are helping farmers to measure their soil. April 18, 2019 - Farmers work for environment | News, Sports, Jobs Warren Tribune ChronicleApril showers bring May flowers ... and the wonderful smells of spring. If you live near a farm, you may not like some of the spring smells coming from that far. April 18, 2019 - Brazil nuts: Health benefits, nutrition, and risks Medical News TodayBrazil nuts are full of healthful nutrients and provide a wide range of health benefits. However, eating too many Brazil nuts can cause selenium toxicity. April 16, 2019 - Farmers Grow to Like Crop of Technologies Helping Them Manage Weather Risk Insurance JournalWhen surprise hailstorms hit the 6000 acres Trevor Scherman plants each year with peas, wheat, canola and lentils, his first move isn't to his truck to. April 10, 2019 - The beauty of brix: Why organic food tastes better Kitsap SunCompost is key to happy plants and fabulous flavor. April 18, 2019 - New Zealand's Environment Is In Serious Trouble ForbesNew government report shows just how bad things have gotten in recent years. March 21, 2019 - Alpine tundra releases long-frozen CO2 to the atmosphere, exacerbating climate warming Science DailyThawing permafrost in high-altitude mountain ecosystems may be a stealthy, underexplored contributor to atmospheric carbon dioxide emissions. April 5, 2019 - Weeds, fertilizer, and that new onion bug: This Weekend in the Garden PennLive.comYou're not imagining things if it seems like you have a whole lot of weeds already that you didn't have when you put the garden to bed last fall. April 18, 2019 - Colorful fungi: Stinkhorn emits foul odor Tallahassee.comA local mushroom species is taking advantage of the plentiful moisture to establish itself in new areas. April 15, 2019 - Waterways crying out for nutrient management Scoop.co.nzMost of us are under the impression that all of New Zealand has fertile soil that's great for growing food. It's more or less a fairy tale. April 9, 2019 - Candlewood Lake area residents asked to mail in soil samples Danbury News TimesWith planting season around the corner, organizers of a recently expanded program are looking to keep fertilizer and other nutrients out of Candlewood Lake. April 18, 2019 - 3 Supplement Industry Insiders Get *Really* Transparent mindbodygreen.comSo many manufacturers these days are using double-blind, placebo-controlled trials in order to back the efficacy of their supplement products. April 15, 2019 - Agriculture's tech turn assisting risk management Digital InsuranceWith satellite imagery, damage can be assessed quickly in real-time, helping get quick and accurate insurance payments. April 16, 2019 - Ohio State professor gives award money back to university OSU - The LanternOhio State professor Rattan Lal was awarded the prestigious Japan Prize April 8 and its accompanying $450000 award. April 11, 2019 - Getting to the Root of Plant Simulations R & D MagazineA new root algorithm is among the first to shed more light on the ability of plants to adapt to local changes in environment. April 18, 2019 - Aquaponics provides stability, livelihood for Sheboygan farmers Wisconsin State FarmerLocated on the shore of Lake Michigan, you wouldn't believe what's behind the door of a former milking parlor. April 19, 2019 - TEXAS GARDENING: Nothing to be done for root rot Bryan-College Station EagleDear Neil: Last year this tree (see photo) was beautiful and full of leaves. Now it looks like this. I had pots of shade-loving plants beneath it. Could they have. April 15, 2019 - Crop Consultants Use Soil Sampling Apps DTN The Progressive FarmerApps, imagery, sensors and other technology are changing how crop consultants do their groundwork to advise farmers. April 11, 2019 - Potash should be applied to fields where it counts Western ProducerThe third instalment of my series on nutrient back-to-the-basics is about potassium. Also known as potash, it is second only to nitrogen in the amount of.